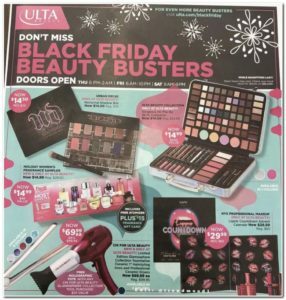 The Ulta Beauty Black Friday ad is here! Ulta Beauty will be open on Thanksgiving night, November 23rd, from 6PM – 2AM and November 24th, from 6AM – 10PM. You can also shop online at UltaBeauty starting November 22nd at 8PM CST through November 23rd 3PM CST for online exclusive deals.